Help with minor repairs, maintenance and occasional unexpected major repairs. 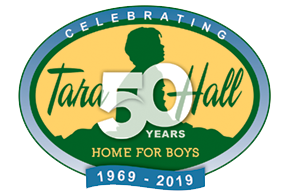 URGENT & IMMEDIATE: 8.21.15 Guild Fund donations are needed to replace the range/oven at Tara Hall. We prepare more than 21,900 meals for our boys each year. Now, the only range/oven at Tara Hall is broken and in need of immediate replacement. This is an unexpected expense, not in our budget. Your donation today to the Guild Fund will go directly to the purchase of a replacement. This fund is set aside for such unexpected larger expenses, such as HVAC units, vehicles, furniture, appliances, etc. We are looking for a team of local tradespeople willing to volunteer your professional services.